Unseen Photos: Shloka Mehta Looks Stunning At Isha Ambani's Wedding Functions! Last year the Ambani household was bustling with not one, but two rishtas that were pakka! Akash Ambani got engaged to his longtime girlfriend, Shloka Mehta and Isha Ambani wed industrialist Anand Piramal in the grandest fashion ever. From Beyoncé and John Legend performing at the celebrations to all of the tinsel town taking over the stage, it was a fiesta for the ages. 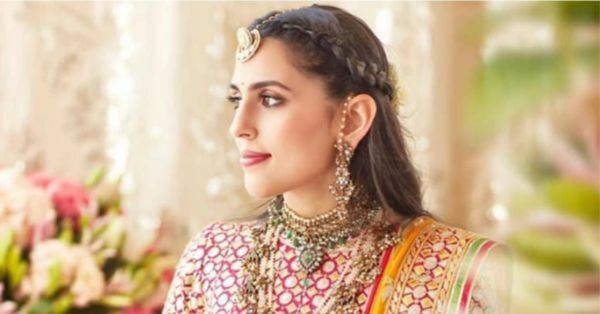 While we're sure you all binge-watched those videos, we bet you haven't seen this look of Shloka Mehta from Isha Ambani's wedding. She is wearing an Abu Jani and Sandeep Khosla creation and looks like a real-life princess. She looks perfectly dressed for a function during the day in bright shades of yellow, green and pink. The ghagra boasts of tukdi gota and zardozi gold zari work along with sequin. The blouse too ties in together with the gota work and so does the dupatta which looks stunning all in all. For jewellery, Shloka styled it with a layered set of a choker and a long necklace studded with emeralds and set in gold. She adorned her wrists with pink bangles along with kundan kadas and rings. She even put on a maangtikka and dangling earrings to complete the whole ensemble. While this one was colourful, another look of the to-be bahu of the Ambani household has come out. 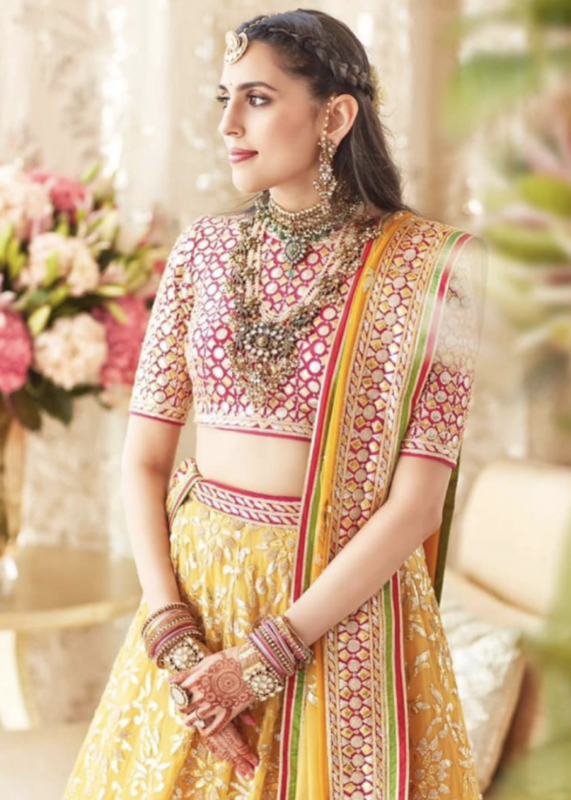 She's wearing a pastel pink lehenga with gold zari work all over. This time because the outfit was more subtle, she went bold with the accessories. She contrasted the look with emeralds and diamonds. Shloka layered her neckpiece with a choker and a double stringed emerald chain. She matched her earrings and maangtikka with the set and even put on minimal bangles just to add that finishing touch. 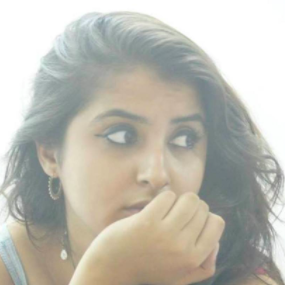 With her wedding too slated for this year, we're only too excited to see which designer Shloka chooses to go with. And going by these pictures, we know she'll make a stunning bride.